Copy and paste keyboard shortcuts are beautiful gifts from the gods, and any website that blocks such an offering can burn in hell. But really, Cmd+C and Cmd+V (Ctrl+C and Ctrl+V for Windows folks) are second nature to most of us, so it's very frustrating when sites like PayPal don't let us use them. Thankfully, if you're a Firefox user, you can permanently enable copy/paste and never have to deal with this inconvenience again. Why Block Copy & Paste Anyway? For security purposes, many financial and banking sites block your ability to copy/paste. 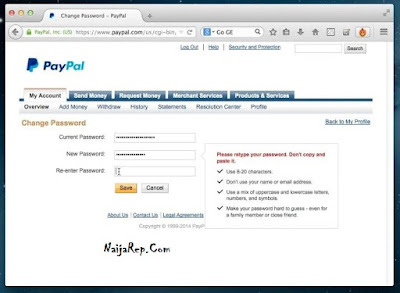 For example, when I change my password on PayPal and try to paste my new password into the "re-enter" box, PayPal flashes a warning saying, "Please retype your password. Don't copy and paste it." Cool, I get it. PayPal wants us to be absolutely positive we know our password. However, if you're creating strong unbreakable passwords or entering long strings of numbers, it can get really annoying—really fast. There are a number of "secret" Firefox application settings that aren't available to you under Options or Preferences. Although they're held in the prefs.js and user.js files of Firefox's package contents, you can easily view them on your browser by typing about:config into the address bar. Firefox: Some websites don't let users copy text or paste their own, like PayPal which won't let you paste a password. 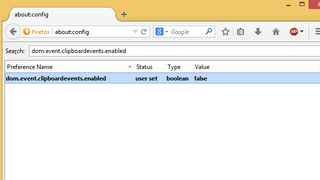 This Firefox settings tweak gives you copy-paste functionality when sites try to take it away. Restart your browser and you're done! Of course, when it comes to passwords, you are better off using a password generator and manager like Lastpass. But this is still a neat trick for many websites which don't allow you to copy their text. 0 Response to "How To Enable Copy-Paste in Web Pages That Disallow It with Mozilla Firefox Tweak"